So today is my day off - my studio day. It's the 7th of December, and I've received the first of my Holiday Cards from people on my f-list (Thanks, Silver Trails!!!). That means that I will be working like crazy on things today. I need to finish this repair because I want to have it available for her to pick up on Friday, and I need to do the interior of my cards and determine what, exactly, I want to do for the exterior. I can do some work on them tomorrow also, because I'm taking a second day off then. But, tomorrow is tomorrow and I'll discuss it then. DH is still not talking to me, but we were both chuckling while watching "A Christmas Story" last night. 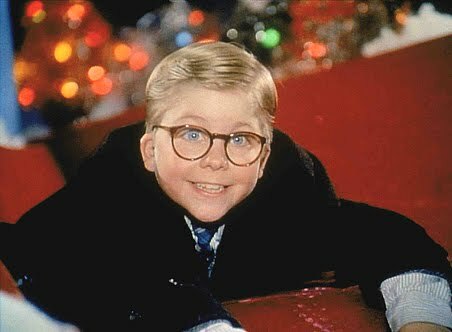 It's hard to resist the tale of Ralphie and his desire for a Red Ryder Carabiner BB Gun. 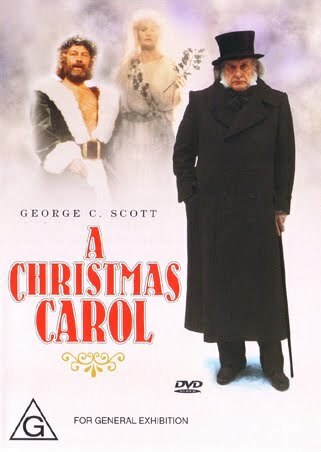 I was flipping between that and George C Scott's appearance as Scrooge in Dicken's classic tale, "Christmas Carol". Two of my favorites, and both on the same night. I know that "A Christmas Story" will be shown for 24 hours (or at least it usually is) on Christmas Eve/Christmas Day, so I'll catch it again then. And RIP Darrell K Sweet, an illustrator that I have loved for many years. 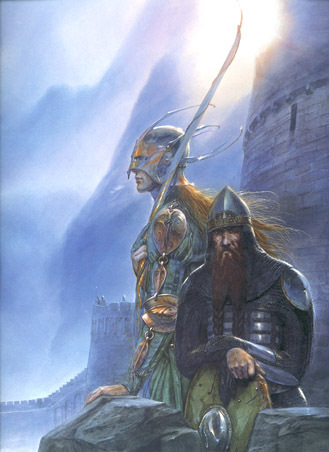 I didn't care for a lot of his Tolkien work, but LOVED his basic fantasy art. I have collected books and artist trading cards of work for many years, and he is one of those artists that I have quite a bit from. I wish I had one pinkie's worth of his talent, but at least our world was able to share his vision. I just heard it this morning, apparently he died on Monday. I have to agree with you, I am not fond of a lot of his Tolkien illustrations. But I loved a lot of others. And, I really loved his techniques. If I could achieve such clarity and lighting in my own artwork, I would be deliriously happy. I also have heard that he was a genuinely nice person. So it's a loss.